For 2013 Hyperlite Mountain Gear is sponsoring one thru-hiker on each of the Appalachian Trail (AT), Continental Divide Trail (CDT) and Pacific Coastal Trail (PCT). 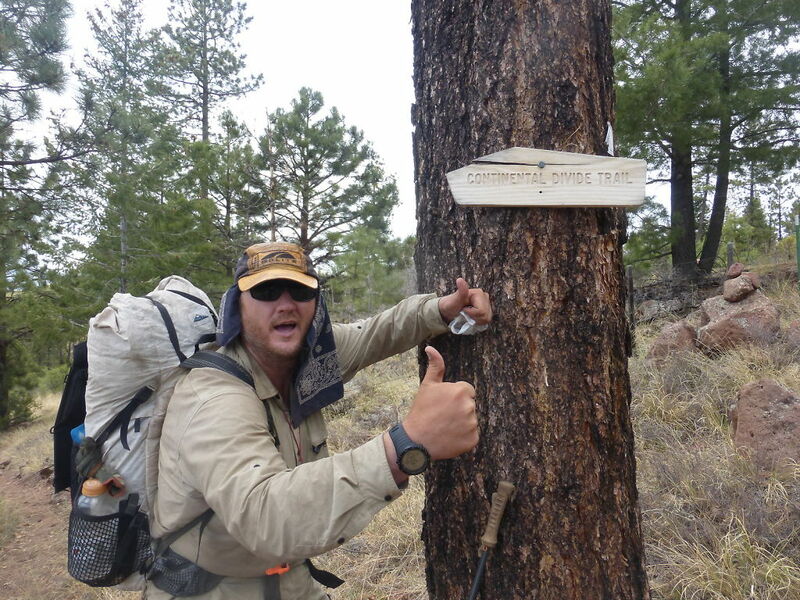 Here’s the fourth update from the trail by Peter, Hyperlite Mountain Gear’s sponsored CDT hiker. 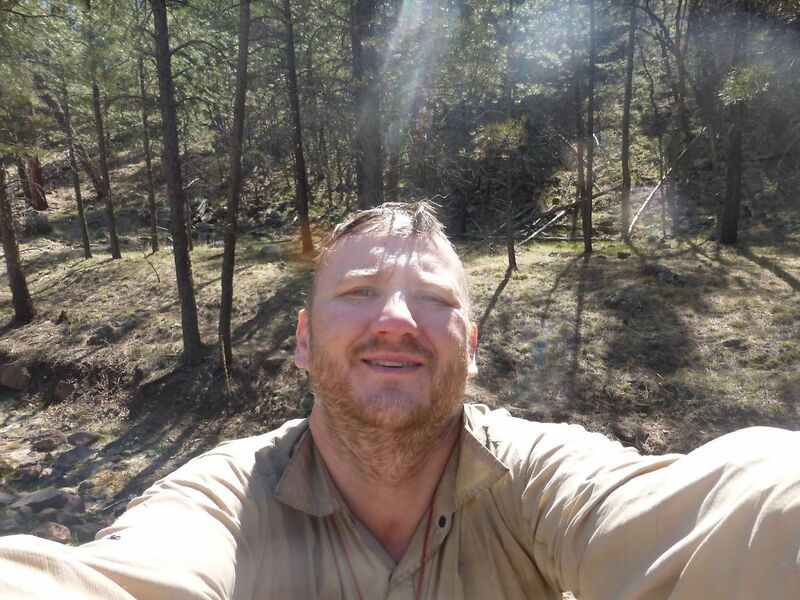 Peter (trail name, “CzechXpress”) will keep all of us up do date with periodic posts and pictures from his journey. We hope you’ll check in regularly to follow Peter along the trail! 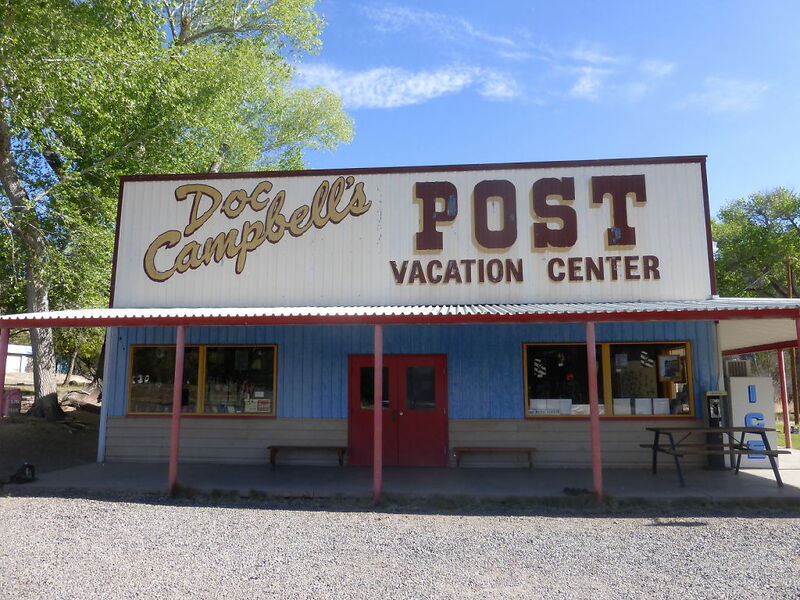 Being at Doc Campbell’s was a great milestone of my trip. I knew that if I made it there then I was making good progress to make it across New Mexico and to my eventual goal of Canada. At Docs, I picked up my resupply box that my sister had prepared for me with little surprises of good chocolates and notes from home that were welcomed motivation to keep going. Knowing that people back home are supportive of my hike really keeps me going and the positive encouragement helps you stay connected to home. After staying the night in the campgrounds and soaking in the local hot springs to loosen my aching muscles, we did the road walk up to the Gila Cliff Dwellings Visitor Center. Walking this far and passing up such an incredible piece of local history that is only an extra two miles walk away was not an option. The dwellings were a spectacular sight, snuggled up on the rock facing south with the light hitting the interior of the caves. Over 700 years ago, the Mogollon’s (ancient ancestors of the Puebloen people) inhabited this site. The caves at Gila are considered to be everything from ceremonial sites, permanent dwellings, to only seasonal residence. 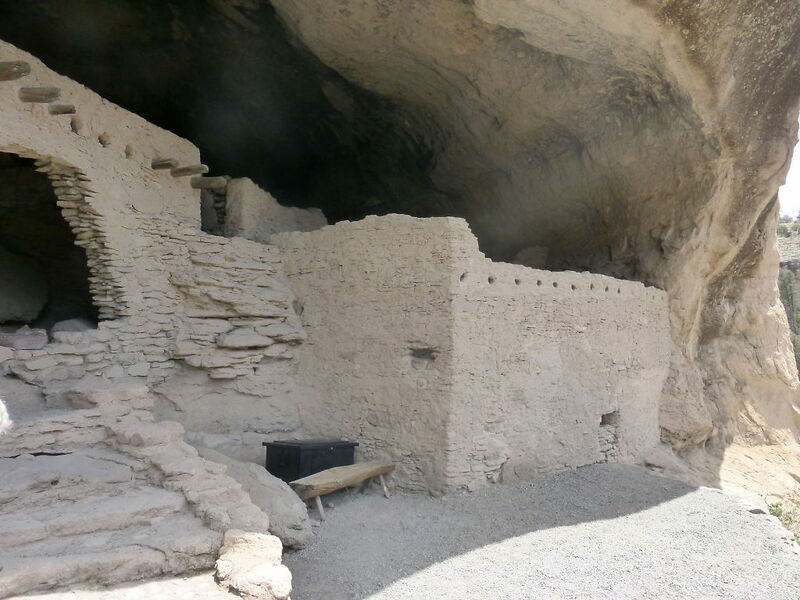 While inside the caves with the petroglyphs, the dark ceilings from the fires and the intricate construction of the homes that once stood there offer a visually stunning experience as well as a unique look into the area’s history. Following my visit to the dwellings, I took an alternate route towards the Middle Fork of the Gila River, coming out of a slot canyon to its wonderful high walls and its beautiful flowing river. The river was breath-taking and I couldn’t wait to start getting my feet wet with the upcoming endless river crossings. Gila Cave Dwellings- Over 700 years old! After repacking my backpack (just in case I fell in while making a crossing), I put my sleeping bag, clothes, and electronics in protective cases, then secured them in a plain old garbage bag. I started the winding trail through the Gila, crossing from dry trail to dry trail. 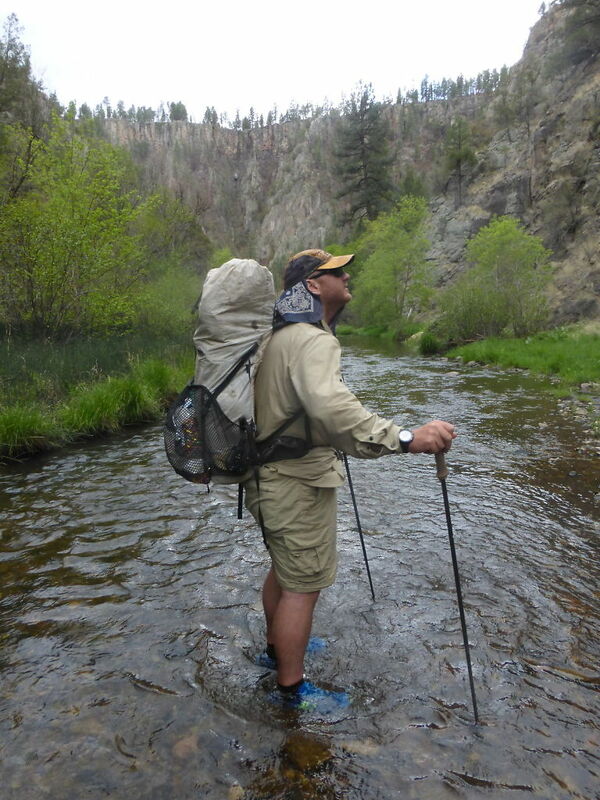 The water depths of the rivers varied from ankle height all the way to waist height. Having my feet and legs constantly wet was a nice change from the hot and sandy desert. Unfortunately, dealing with wet feet all day brought along new challenges. Loose skin on my feet and more rocks in my shoes slowed me down a tad, the best course of action was to dry my socks and feet at night to prevent blisters. With high cliff walls, a winding river, fresh water, and remarkably cool temperatures, the rest of the Gila was phenomenal. In total, I completed 147 river crossings before hitting the end of the trail and getting back into the open valley’s ahead. After the Gila’s we entered into the open plains again and towards higher mountains that rises above the valley floor, following new CDT trails and forest roads towards the highway that takes you to Reserve. Passing through burn area that had used blazes like you see on the AT for trail markers made it very difficult to navigate through. The blazes were chopped into the tree, but of course this was burned as well and blended with the rest of the tree. Losing the trail here was easy to do and took me extra time to make it through the section down to the highway. Peter gives the CDT two thumbs up! Once down at the highway, I made a failed attempt to hitch to Reserve to surrender to my craving for town food. After three hours of attempting to get a ride, I gave up and slept in the trees eating my sad rice and tuna dinner versus the big steak I had been envisioning for days. The next morning, I got up and headed into the Apache Forest on my way to Pie town and the famed Toaster house I had heard so much about. I had been following the Ley route the entire way but, heard the official route was new and nice so I decided to go that way. After about 3 hours of constant winding around the hills, I got frustrated and bushwacked back to Ley’s route and continued from there. The official route is nice, don’t get me wrong but thru hikers don’t want to take the scenic route, we just want to get there already. So after climbing Mangas Mountain and coming back down the other side, I made a push to make it into Pie Town before the Cafe would close. That morning, I decided to hike the 30.5 miles to the Toaster House, which would be my longest day of hiking ever. The trail was good and the roads were easy to follow but the road just kept going on and on and on with no end in sight. With only five more miles to go, I made the final push in the dark to reach the Toaster house at 9:30 pm. I was greeted by two CDT bikers and a fridge full of Tostinos pizzas which I ate two of, drank about a gallon of water and then crashed in one of the beds. The Toaster house is an neat place to visit. The owner Nita is a wonderful woman who leaves the house open for all weary travelers to enjoy. 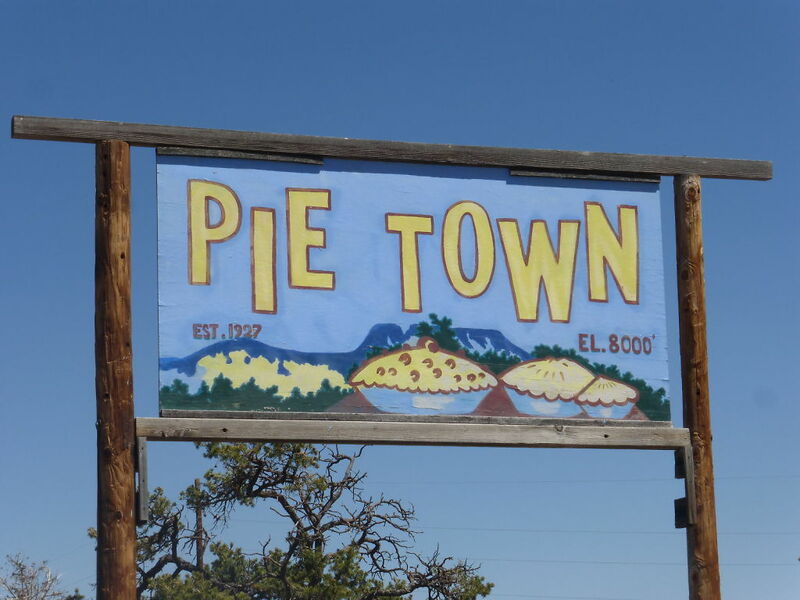 The people are colorful and very welcoming, while the pie was just flat out amazing. The Toaster house is truly like a CDT hall of fame and I only wished the walls could talk…. The post Peter on the CDT – Doc Campbells to Pie Town (Segment 4) appeared first on Hyperlite Mountain Gear Blog.